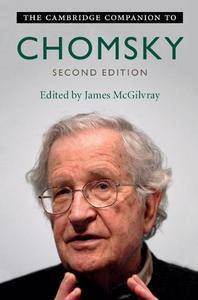 This completely new edition of The Cambridge Companion to Chomsky surveys Chomsky's contributions to the science of language, to socioeconomic-political analysis and criticism, and to the study of the human mind. The first section focuses on the aims of Chomsky's recent 'biological-minimalist' turn in the science of language, and shows how Chomsky's view of the nature of language and its introduction to the human species has recently developed. The second section focuses on Chomsky's view of the mind and its parts - and how to study them. Finally, the third section examines some of Chomsky's many contributions to socio-political history and critique. This new edition examines Chomsky's views on a wide range of issues, from his views of the lexicon, language's evolution, and the study of mind to the status of capitalism and the Palestine-Israel conflict. It will be essential reading for anyone with an interest in Chomsky's ideas.